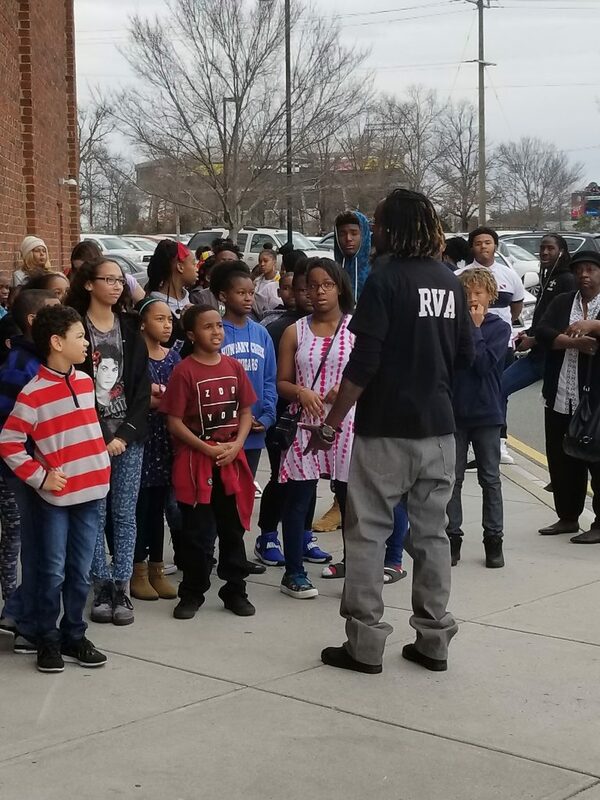 In an effort to show kids the importance of representation, youth activist Lance Cooper previously took thousands of local children to see Black Panther. He hopes to repeat that success with Marvel’s forthcoming Captain Marvel film. Lance Cooper likes challenges, especially ones where he can use his powers to help local youth. Last year, Cooper took almost 2,000 Richmond children to see Black Panther, the first superhero blockbuster with a black director and lead actor, as well as a predominantly black cast and crew. This year, he hopes to do the same for Captain Marvel, Marvel Studios’ first female-led superhero film. Cooper hopes his new crowdfunding campaign can raise $18,000 to cover the cost of tickets and refreshments for 1,500 Richmond students and chaperones with the SM Youth Empowerment Program. 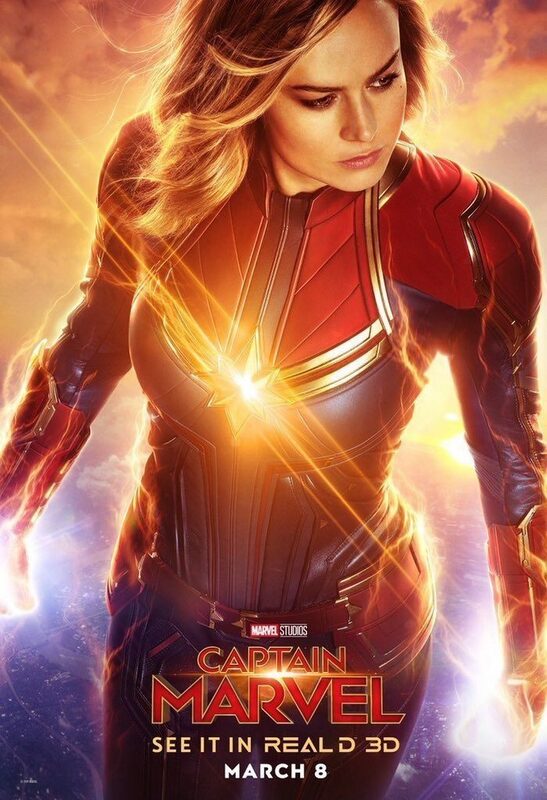 In the movie, actress Brie Larson plays Carol Danvers, an Air Force officer who gains her superpowers after exposure to an alien device. Her film will be the 21st addition to the Marvel Cinematic Universe, and she will likely be the bold leader who moves the Avengers team into the franchise’s next phase — especially with news that Chris Evans will no longer play Captain America after Avengers: Endgame. Captain Marvel flies into theaters on March 8 — International Women’s Day. That connection isn’t lost on Cooper. “I’ll always believe it’s necessary to promote something heroic and positive for girls and help them find their inner superhero,” he said. Cooper established the SM Youth Empowerment Program in 2016, inspired by the outreach his cousin, ex-NBA star Alonzo Mourning, did with children. Cooper, an avid superhero fan, said it was only natural to use superhero films to connect with and empower the youth he works with on a daily basis. He used the release of Black Panther to show his students the importance and influence of black representation in film. Turns out, Boseman isn’t the only Hollywood star to recognize Cooper’s efforts. Larson retweeted a link to his GoFundMe campaign through her Twitter account. Cooper, who described Larson as a “true superhero,” said she also supported his previous fundraiser to provide residents of Flint, Michigan, with clean water. Because female-led movies are becoming more common, the public may not understand how this film is a milestone for Marvel Studios, where women commonly have had secondary roles. Two years ago, rival studio Warner Bros., in partnership with DC Entertainment, released the film Wonder Woman, carried by female star Gal Gadot and directed by Patty Jenkins. Cooper is focused on just one mission: getting the kids to the movies. “ It is extremely important for girls of all colors to see characters that look like them portrayed in strong, empowering ways on the big screen,” Cooper stated. His campaign is aimed toward girls but will help all the students in the program experience the movie in the theater. He started fundraising on Jan. 25 and has raised about $900 so far. Last year, he raised over $24,000 for the “Black Panther” outings. If there are any campaign funds left over, Cooper said they will go toward various girl-centered organizations in Richmond. A Richmond youth activist has launched a local crowdfunding campaign for the #BlackPantherChallenge, which was started by Frederick Joseph and went viral recently to help raise funds for children in the Harlem Boys & Girls Club to see Marvel’s “Black Panther” film, coming out Feb. 16. Lance Cooper is the Youth Program Director for the SM Youth Empowerment Program here in Richmond, which he founded in 2016 to strengthen the underserved community and provide underprivileged, kids with an opportunity to participate in valuable education opportunities. Created on Jan. 22, the #RVABlackPantherChallenge set a goal of $5,425 for kids in the program to see the film and as of Friday morning, the campaign had surpassed its goal at nearly $6,000. Tickets for the film are $10.85 per adult and $7.85 per child. According to the page, the donations will fund tickets for children to see the film as well as refreshments. Tickets will be given out to children in the SM Youth Empowerment Program and to children in the Richmond area. Cooper’s goal is to give 500 youth the chance to see the film. The remaining balance of donations after tickets are purchased will go toward Richmond youth empowerment programs and children hospitals, according to the GoFundMe page. The film has shattered all advanced ticket sales over any superhero film to come before it, which makes it clear that representation of actors and actresses of color on screen is not only what the public wants, but what they need, especially black children who will finally get a superhero to look up to. 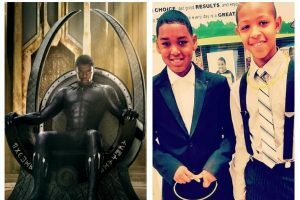 “When I asked the two boys (seen in the GoFundMe photo) why they felt the need to see Black Panther, they replied ‘because we finally have a black superhero,’” stated Cooper on the GoFundMe page.